This unique piece of jewelry features a pair of heart shaped birthstones resting on one another.This heart-shaped pendant measures 25mm from top to bottom and holds two heart-shaped birthstones inside of it. Each birthstone measures 5.5mm x 5mm and leans on one another  like all hearts in love. 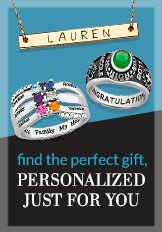 Specify the perfect birthstones to represent you and the love of your life when you order.